You take me out to dinner buy me tickets to the show. And anyplace you take me is a place I wanna go. Everytime you touch me I can feel it in my soul. There’s unspoken words between us. Could you already know? Please, please, please – say you love me. Say you love me. I’m lying here beside you as you are fast asleep. And I reach out to touch you softly on the cheeck. These moments I do cherish as I hold onto hope that you feel the same way I do – that I am not alone. You’ve got to know by now. There’s unspoken words between us – but I can’t spit them out. 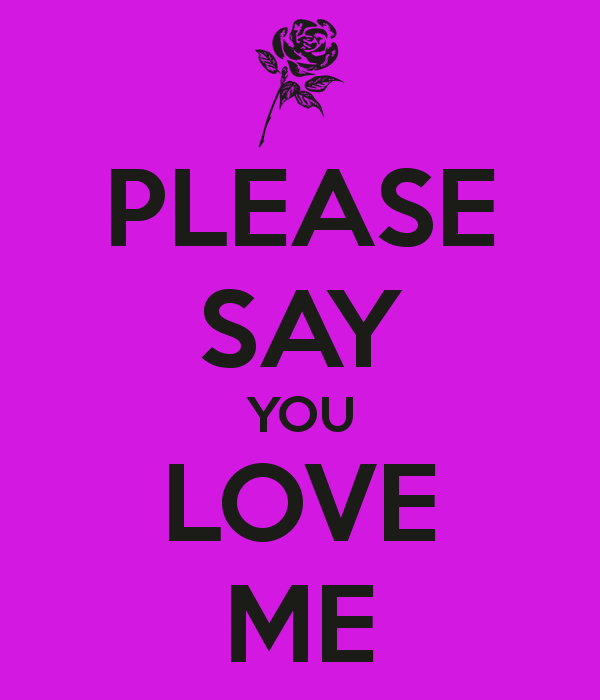 Please, please please – say you love me. Say you love me.